Brett Hodgson will take a full-time coaching position with Widnes Vikings at the end of the season. The 36-year-old, who retired as a player in 2013, has been working as a part-time coaching consultant. 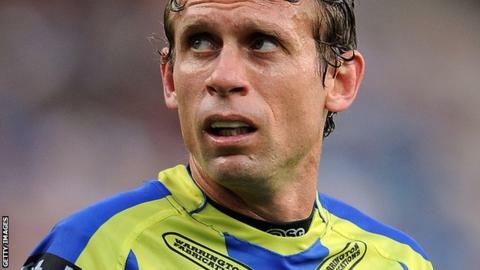 Former Warrington full-back Hodgson has agreed a two-year deal to become an assistant to Vikings coach Denis Betts. "It's a challenge I'm really excited about. I'm keen to progress as a coach and this is the next step for me," he told the club website. "I've just been trying to get my experience across to the players and I'm just really excited by the opportunity Widnes have given me. "I'm enjoying my time here working with the players and Denis, so to be given this chance on a full-time basis from next pre-season is great for me." Betts added: "We've seen already what great value he can offer the club and for him to be around in a full-time capacity will only enhance our environment. "I've been on the look out for a specialist coach in key areas and Brett fits the bill perfectly. "He's made a difference in the short time he's been here and we will look forward to him being around over the next few years."